The tales of abuse at the hands of their peers vary, but the message is clear: things would have been better for them if they hadn’t been alone. That’s why #StandTogether, a nationwide campaign that aims to end bullying through promoting kindness in school, was created. The campaign, a joint initiative by Star Media Group and property developer SP Setia, was launched on Monday by Selangor Princess Tengku Zatashah Sultan Sharafuddin Idris Shah. Spearheaded by the R.AGE team, #StandTogether aims to implement a national week of kindness in schools every first week of April, starting in 2018. 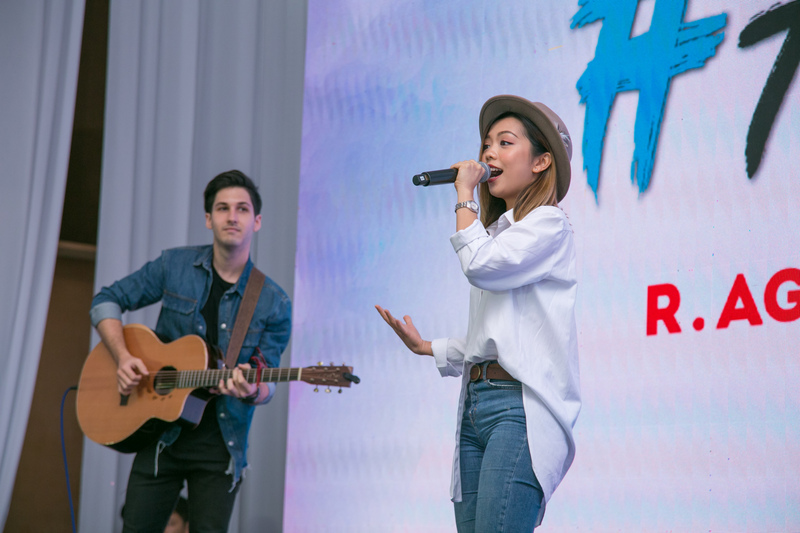 The hope-fueled campaign received overwhelming support from NGOs and influencers alike. 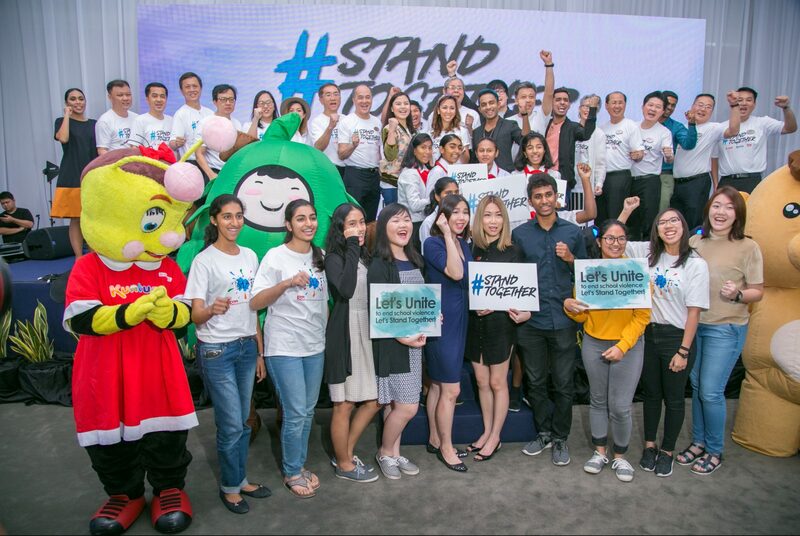 Organisations like Unicef and Teach for Malaysia were present for the launch, as well as celebrity campaign ambassadors Jinnyboy, Lisa Surihani, Arwind Kumar, John Oommen, Dayang Nurfaizah, and Jenn Chia, all of whom pledged to support the campaign. Support has continued to pour in since the launch, most recently from the Education Ministry. 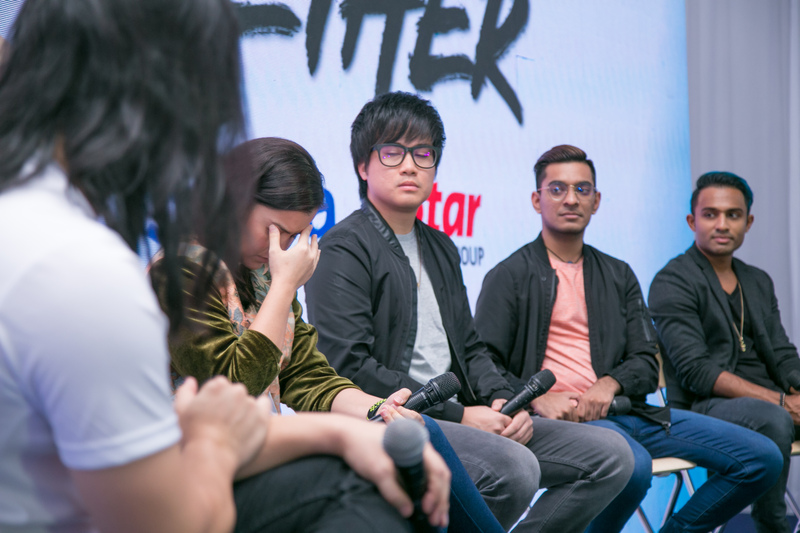 Deputy Education Minister P. Kamalanathan tweeted his support almost immediately, calling #StandTogether an “excellent anti-bullying initiative”. Deputy Education Minister Chong Sin Woon also released a statement supporting the campaign. 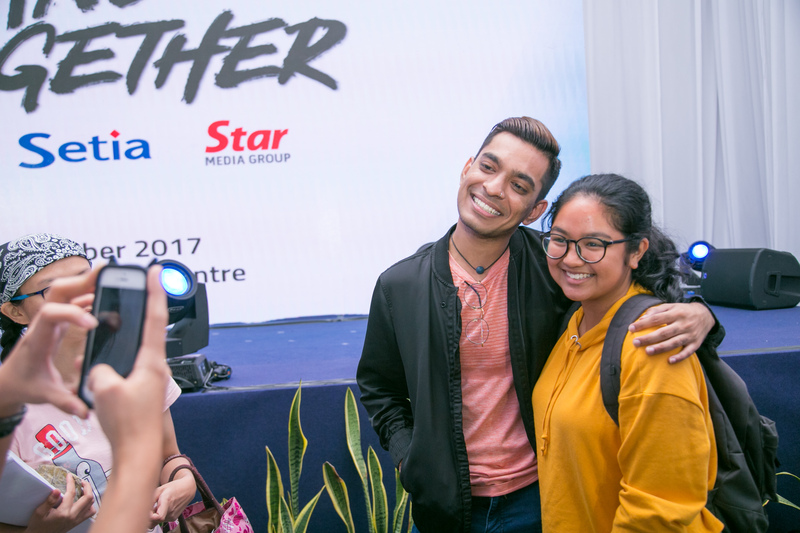 “The Ministry is more than happy to support the #StandTogether initiative, because it means that schools nationwide will become safe places for our future leaders,” he said. But, as the campaign’s name suggests, all stakeholders need to stand together in order for it to work – and that includes parents. “In order to shape our kids into decent human beings, we need to guide them from a young age not to be the kind of person who upsets or harms other people,” said Lisa, who is also a mother of two. That’s exactly what the #StandTogether campaign aims to do – mobilise communities to independently organise bullying prevention activities in schools. “We really hope that people participate in this amazing initiative and help it snowball into a big movement,” said SP Setia chief executive officer, Datuk Khor Chap Jen. R.AGE is currently developing an online resource centre where volunteers – parents, former students, school societies, and colleges and universities alike – can download a week-long programme and organise their own #StandTogether activities. * The nationwide #StandTogether bullying prevention week will take place on April 2-6. To organise a #StandTogether event in your local school, go to fb.com/StandTogetherMY. Chun Wai and Dr Wan Mohd Zahid. 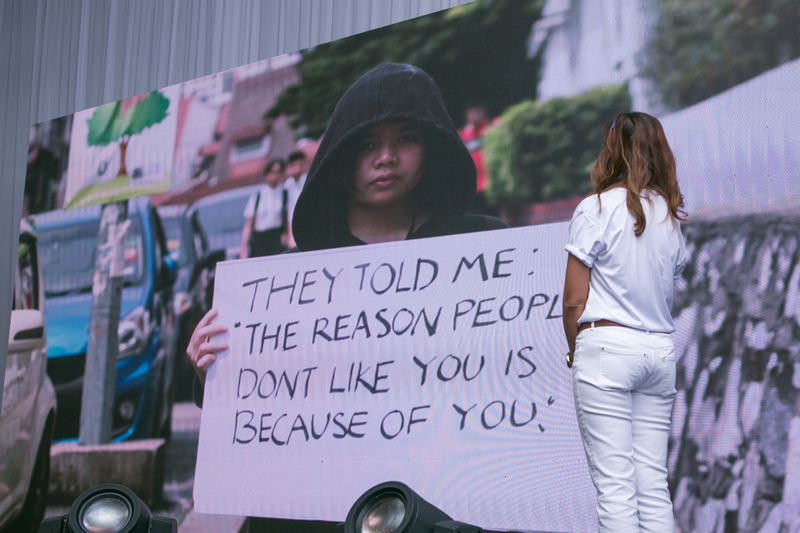 Representatives of SP Setia and Star Media Group launched the campaign with a video on bullying, alongside Tengku Zatasha. The video highlighted a range of bullying stories, from verbal to physical, but all the victims had a common plea: for someone to stand up with them. (From left) Tar Media Group chief operating officer Datuk Calvin Kan, SP Setia Group chief operating officer Datuk Wong Tuck Wai, SP Setia and Setia Foundation chairman Tan Sri Dr Wan Mohd Zahid, Tengku Zatashah, Khor and Wong. Lisa broke down during the celebrity sharing session while recalling how her classmates ruined a class project she had worked on with her late father. song inspired by her experience of being bullied and ostracised in school, accompanied by Jon Liddell. The song came to an abrupt end when she was too overcome by emotion to continue. Famtaghiro D’Silva, 16, said that hearing how social media influencer Arwind Kumar was bullied in school changed her perception of bullying and trauma victims go through. “I’m planning to speak to my teachers about the issue, and get my school involved in #StandTogether,” she said.